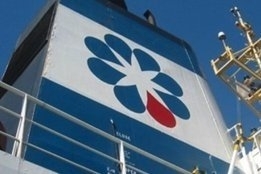 Aegean Marine Petroleum Network (Aegean) says it expects to emerge from Chapter 11 around the end of the first quarter of 2019. The comments follow yesterday's news that the bunker supplier received court approval for its $535 million in aggregate Debtor-in-Possession (DIP) financing from Mercuria Energy Group Limited, and the associated Restructuring Support Agreement. "The Court's actions represent key milestones in Aegean's restructuring process and position the Company to quickly emerge from Chapter 11 much stronger than before," Aegean Board Director Tyler Baron said in a statement released today. "Upon completion of this process, currently anticipated around the end of the first quarter, the new company – with ample access to liquidity, streamlined operations, a refreshed management team, and the ability to leverage Mercuria's core competencies – will be better positioned for long-term growth than ever."